Could the $199 Lumia 650 be the last smartphone from Microsoft to feature the famous brand name? Microsoft has launched what could be its last smartphone to bear the Lumia name: the Windows 10-powered Lumia 650. Priced at a budget $199, the device comes in black and white, and will only be available in select markets in Europe from February 18. There’s no word when or if it will launch in the US. 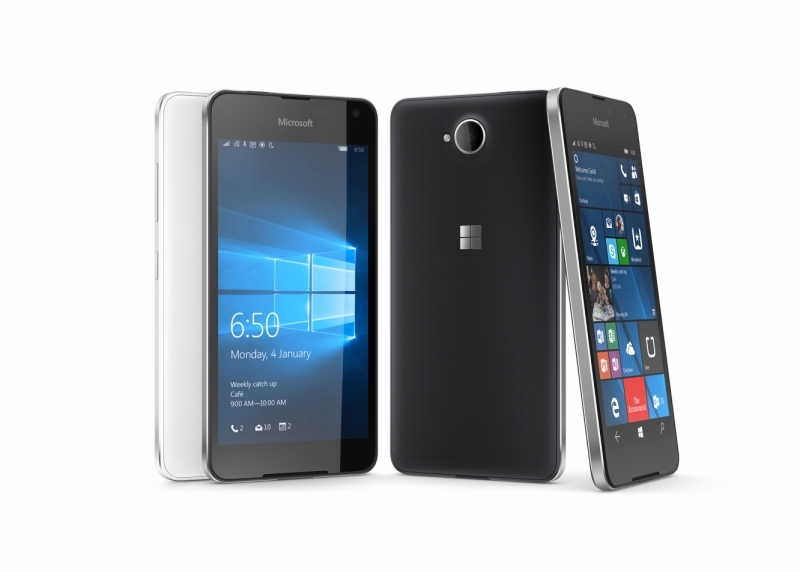 The Lumia 650 features a five-inch, 1280 X 720 OLED screen, has a thickness of 6.5mm and weighs 122 grams (4.3 ounces). Microsoft says the display offers crisp, bright, vivid colors and deep blacks. "It's by far our most beautiful screen ever at this price point,” said Samuli Hänninen, general manager of Microsoft’s phones program management. The device also sports a 5MP wide-angle, front-facing camera, an 8MP rear-facing shooter, 1GB of RAM, 4G LTE connectivity, a 2,000 mAh removable battery and 16GB of internal storage which is expandable up to 200GB using a micro SD. Microsoft is pushing the Lumia 650 as a “business class” device that offers a cheap way for businesses to get a mobile version of Windows 10 into employees’ hands. Slightly surprisingly for a smartphone aimed primarily at business users, the Lumia 650 contains a Snapdragon 212 (probably to keep the price down), which means there’s no Continuum support for using the phone like a PC. It does, however, include preloaded Microsoft Office apps, OneDrive Syncing, Cortana, and other productivity features. Not only has Microsoft’s phone-based revenue continued to fall drastically, but the company is rumored to be focusing efforts on its upcoming Surface Phone - a rumor based on it relocating the Lumia team into the Surface team. So it really does look as if this may be the last Lumia device we’ll see, and it might not even make it to US shores.